Free Derry has a proud place in the history of radicalism in Northern Ireland, when ordinary people took the initiative and resolutely showed that the working class can independently organise itself. After a brief respite from civil rights activism in December 1969, the Northern Ireland state found itself again on the defensive in January 1968, after a new wave of protest and demonstrations erupted when a civil rights march travelling from Belfast to Derry was brutally attacked at Burntollet Bridge by loyalists and 100 off-duty members of the B Specials. To add salt to the wound, that evening, the RUC invaded the Bogside in Derry, damaging homes and attacking the area’s residents, with many of the RUC being clearly drunk and enraged. Seeing through the façade of ‘liberal’ Unionism, ordinary working-class people in Creggan and the Bogside relied upon their own power and agency for change, erecting barricades around the area, blocking the entry of the RUC. 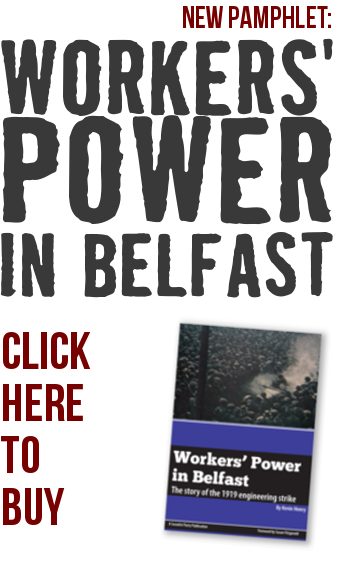 There existed an incredible opportunity at this juncture to pose a genuine challenge to the state and capitalism in general, as a new wave of upheaval began across the North concurrently with the emergence of what became known as Free Derry. The Catholic working class was rising up against sectarian discrimination, state repression and poverty. The civil rights movement was supported by an important section of Protestant youth and trade unionists. 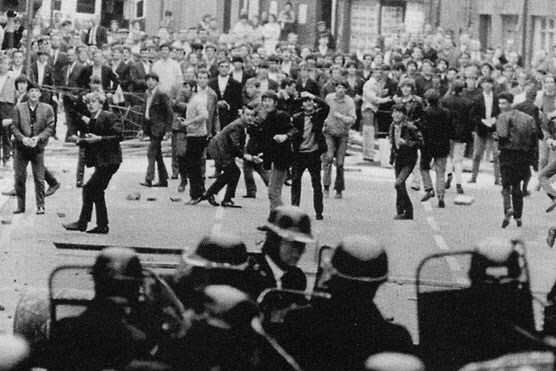 Largely Protestant workforces were engaged in a series of militant industrial battles against bosses and the government. If these struggles had been linked around a socialist programme to challenge discrimination in all its forms and fight for decent jobs and homes for all through democratic public ownership, a united movement could have been built which could have swept aside the Unionist establishment and – linking up with the movements in the South and Britain – posed a challenge to capitalism itself. Unfortunately, the right-wing and reformist leaders of the trade union and Labour movements failed to seize this opportunity, instead either seeking to ignore the civil rights movement or divorcing it from the wider working-class struggle in the name of “anti-Unionist unity” with conservative nationalists. This allowed the Unionist establishment to portray the civil rights struggle as a purely Catholic struggle for an equality of poverty, thus allowing them to open up division in the working class. This period should serve as an inspiration to class fighters today, including the heroic role played by the working class in the establishment Free Derry, but also as a stark warning of what can happen if a leadership is not built which is capable of seizing opportunities when they are posed at crucial junctures. Socialists today must understand the lessons of this period, and battle for a bold, fighting, cross-community labour movement which will not make the critical errors of the past.